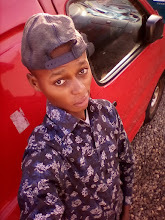 Wadup guys, just last week I posted how to activate airtel double data bonus offer which so many Browsetechs lovers has been enjoying and giving their testimonies. 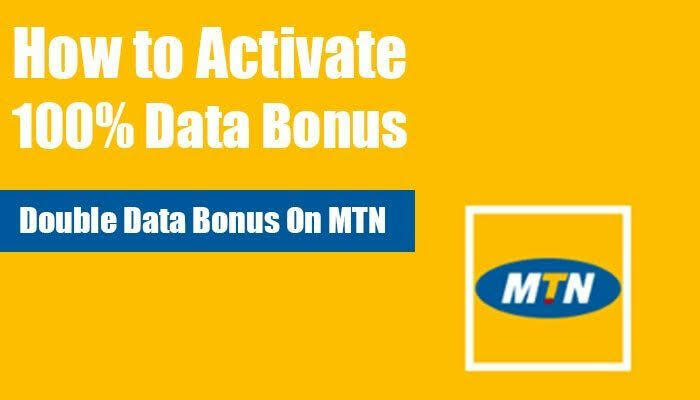 But here today, I'II be sharing with you guys a method on how to activate MTN double data bonus offer. 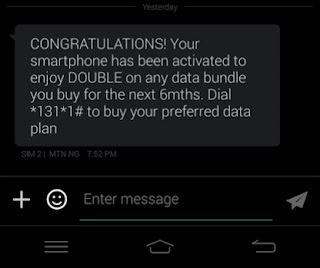 So assuming you purchased the MTN 1.5GB data for N1000, with this trick you will be given 3GB worth of data for the same price valid for a month. 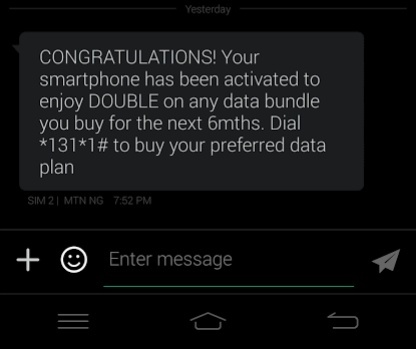 Though MTN double data bonus offer is not new to a lot of us here on Browsetechs, we've earlier rocked it. However, it was later reduced from 100% to just 20% and in some phones, it was completely stopped. 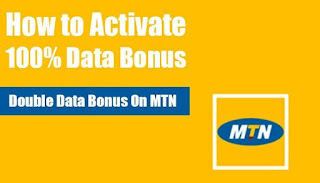 Anyways, with this new steps, you can now enjoy full 100% MTN double data bonus on DEALZONE. Most interestingly, you DON'T need to tweak your phone's IMEI to be able to activate it this time around. Now, You will receive three messages as follows from MTN saying; (1) Your request has been received, (2) You have sent an invalid command (3) Dear Customer, enjoy Data offers on MTN Deal Zone, Dial *131*1#. After receiving the third message, go ahead and buy your data plan by dialling *131*1#. I advice you to test it first with small N500 plan before buying your preferred bigger bundle. Also, subscribe only by dialing *131*1#, as that's the recognized code that'll give you 100% data bonus. Dail *131*4# or Text '2' to 131. Kindly share and tell us how it went below. You should also check this outstanding blog frequently for more updates like this and free browsing cheats. Cheers!